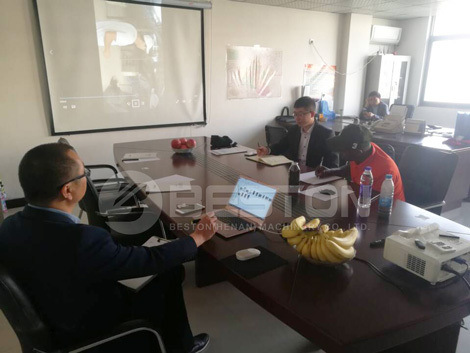 On 19th, October, a customer from Kenya visited our company and factory. 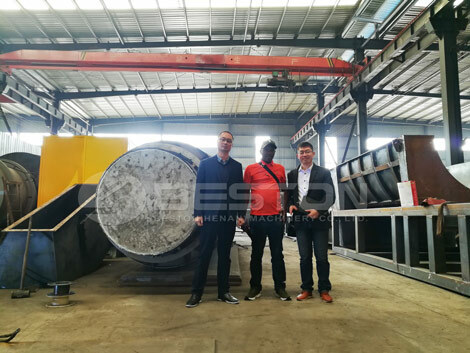 In the factory, he inspected our manufacturing situation, such as CNC flame and plasma cutting machine for steel plate, steel plate shearer, automatic welding machine, also workmanship of carbon dioxide gas shielded, etc. He was satisfied with our design and fabrication. What’s more, we talked about the carbonization technology for processing municipal sludge in Kenya. He told us that the composition of Kenya sludge is human and animal manure. According to the situation in Kenya, our technician gave appropriate and reasonable solution. The client was satisfied with proposal. At last, he said that he will fly back and discuss sludge treatment system with his partner and make final decision as quickly as possible. In Kenya, many remote rural areas are lacking of affordable cooking fuel. Most trees from surrounding forests are chopped by people. Therefore, seeking new resource is becoming important in Kenya. Human and animal manure are the main raw material used at this processing site to make briquettes. 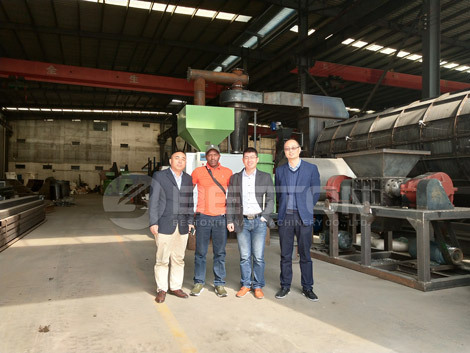 Our carbonization machine in Kenya can help to deal with fuel lacking problem. Win-win solution is coming. 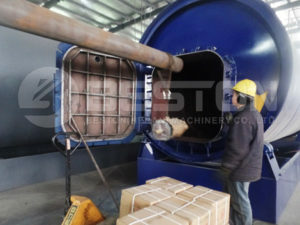 If you have the same concept about carbonization equipment, contact us to know more now.